Oscar Valladares has had quite the journey to become one of the most respected names in boutique cigars. The man was introduced to the premium cigar industry in the unlikely manner of being a bus driver for Rocky Patel in Honduras. This led to Valladares being hired by Patel to learn the ins and outs of the manufacturing business—which he did for nearly a decade! In 2011, Oscar Valladares left to begin his own cigar shop in Danlí, Honduras. His operations eventually expanded enough to purchase his own factory in downtown Danlí, naming it Oscar Valladares Tobacco & Co. 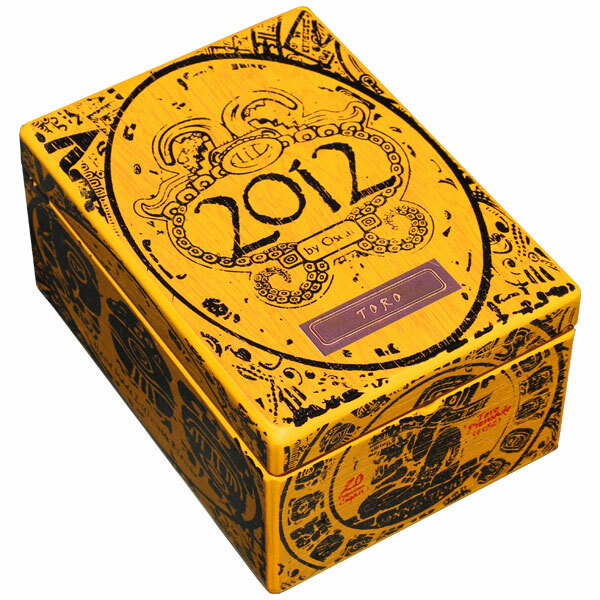 Here, Oscar introduced the company’s first cigar—2012 by Oscar—referencing the Mayan calendar’s prediction for the end of the world. Oscar later teamed with popular cigar personality Jim “Island Jim” Robinson and the duo crafted the hugely popular Leaf by Oscar cigars, which served to put Oscar Valladares on the map. The Connecticut blend is the mildest of the bunch, using a combination of Honduran and Nicaraguan fillers, a Honduran binder, and Connecticut-seed wrapper to showcase a smooth and creamy smoking experience. The Connecticut is mild to medium-bodied and offers smooth notes of butter, hay, toasted bread, honey, and a touch of white pepper spice. 2012 Maduro uses a blend of Nicaraguan and Honduran filler leaves, a Honduran binder, and a Mexican San Andrés Maduro wrapper. This cigar offers a medium to medium-plus body and dessert-like flavors of cinnamon, cocoa, toasted nuts, and a satisfying vanilla sweetness on the finish.